S-Pen – has always been a distinctive feature of the Galaxy Note line. It allows you to write casually on this huge screen, while others can only rely on their clumsy fingers. 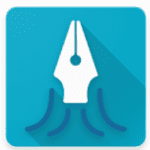 The Play Store has several apps that will make you use the stylus more often. We have collected a list of programs for photo editing, writing notes, drawing and even games. And do you have a favorite S-Pen app? ArtFlow – turn your Android device into a true mobile drawing platform, thanks to more than 80 brushes and various artistic modes. With this simple application for creating drawings, you can fully realize your internal potential. The application fully supports the work with S Pen or any other stylus. This application is available for free, however, to work with some additional features and tools you will have to buy a professional version. You can work on all smartphones thanks to a synchronized account. A distinctive feature of the application is a high-performance drawing engine and many professional artistic tools. Here you can easily change the transparency, customize and mix different colors, as well as work with canvas in high resolution up to 4096×4096. All projects from the application can be exported as a PNG or JPEG image or for further work in Photoshop via the PSD format. You can import pictures into the editor from the device’s memory, gallery or camera (PSD-files import is also supported). It is worth noting that the application has the ability to work in the symmetric pattern mode, insert ready-made geometric shapes and lines, and much more. For owners of smartphones or tablets with a stylus, the application fully supports NVIDIA DirectStylus. During drawing, large input areas are completely ignored, what allows you to protect the project from unnecessary changes due to palm touches. 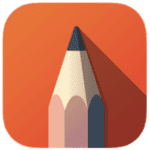 SketchBook is a professional program for drawing on mobile devices with touch screens. Autodesk SketchBook is a powerful drawing and drafting application with an intuitive interface and a huge range of features and settings. The modern module will provide the most natural and convenient drawing process that will allow you to create with the help of the program both small schemes and sketches, as well as complex, large-scale works. An image increase up to 2500% will help to work out the details, the synthetic sensitivity of the brushes to pressure will give softness and naturalness to the lines, and a special built-in tool will help to achieve the symmetry and proportionality. Dozens of brushes are available: pencils, pens, markers. The program can work with layers and offers 16 modes of mixing. Those who purchase the Pro version can use additional brushes (over 100 pieces), a full library of colors, additional layers, the ability to highlight complex shapes (magnetic lasso, for example) and gradient fills. The process of creating a picture can be recorded on video and you can share this video with friends or fans of your artistic talent. The works are saved in the app Gallery, but they can also be saved in Dropbox. 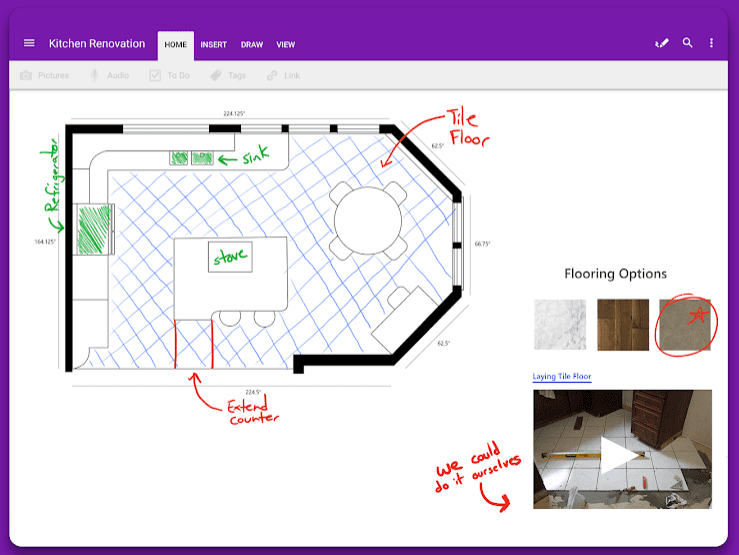 OneNote is a digital notebook that allows you not only to create notes, plans, lists, and graphics but also to access them from any device. All your notes in one application – and always at hand, wherever you are. The free Microsoft OneNote notebook is available for a large number of operating systems, from versions for personal computers (Windows and Mac) to mobiles (Android or iOS). Install this program on each of the devices you use, synchronize the versions and then all the notes will be available for editing on any of them. OneNote is an indispensable assistant when working on a common project, when all participants can make changes and discuss them. Make shopping lists, send them to relatives and watch how purchased items are crossed out. A variety of ways to make the necessary data will be available, such as a keyboard, writing with S Pen and even using snapshots that this application will definitely save. It’s possible to insert pictures, audio and video into the note. 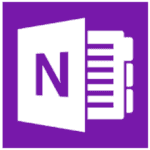 For quick access to OneNote files, there is a mini-application mode, which can be accessed directly from the work screen, without starting the main program, viewing the latest documents and editing them. Important! In order to use all the features of OneNote, you need a free Microsoft account. Google Handwriting Input is an application from Google, with which you can write with your fingers or stylus on the screen of your mobile device in more than 80 languages. In addition, the application supports a huge number of emoticons, with which you can express the whole range of emotions. An effective addition to print and voice input. 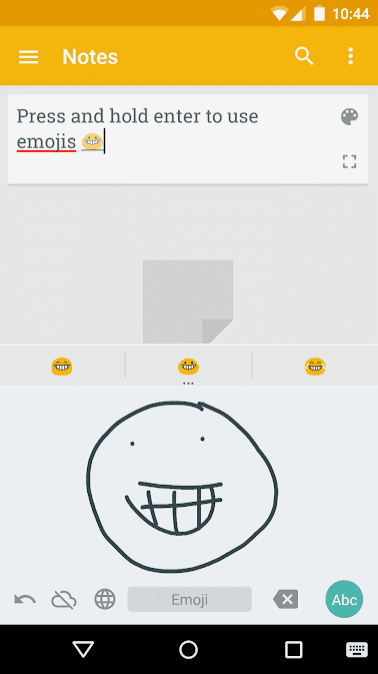 The ability to draw emoticons by hand. Simple input in languages for which the usual keyboard is inconvenient. For those who doubt the convenience of handwriting, Google explains that there are many languages for which standard keyboards aren’t very suitable. An example would be Oriental languages with complex fonts or Chinese with its hieroglyphs. The application itself is very simple and has a nice interface. Despite the fact that the application uses the pre-installed light color scheme of Google, you can choose the design of the application that suits you best. Google Handwriting Input application can be useful for children who are still learning the keyboard, or for those who prefer to write everything down. If you want to switch to the main Google keyboard, then just click on the globe icon. Who said that the S-Pen is only needed to increase productivity? Scribble Racer proves that the stylus can be a great helper in games. This game was made specifically for the S-Pen, which you need to use to stay inside the tracks and bypass the obstacles that appear on the screen. There are three modes of difficulty, on the most difficult there is a significant acceleration. Scribble Racer works with both a finger and a stylus, but don’t expect much from the first one. A small hint – S-Pen will make your movements more accurate. This is a free application, but for additional payment, you can get rid of advertising, which occupies some part of the screen. It will also increase the speed of the transition to a new round because you won’t be interrupted during the game on advertising. If you are a little tired from work and want to relax a bit, try this game. It is ideal for using the S Pen on the Galaxy Note, so you have an exciting gameplay and difficulty at high speeds. Snapseed – start using all the features of Google’s professional photo editor right on your Android device. The app will give you access to dozens of powerful tools and filters: brush, point correction, HDR effect, perspective, structure change, and others. The editor works with JPG and DNG images, allows you to create and apply your own styles, change the mode of the brush and fine-tune filters. It is ideal for making some adjustments with the S-Pen. You can add quick filters like on Instagram or use the stylus to make more accurate adjustments with a brush, point tool, or other editing methods. It is quite difficult to list all the functionality of the application. Among the general possibilities for working with images, it’s worth highlighting high-precision correction of exposure and color, changing the sharpness of the contour, cropping, turning at any angle, correcting for distortion and white balance. Working with a brush, you can achieve selective correction of the composition, changes in saturation, brightness and color temperature. The control points technology allows you to select up to 8 points in the image – the application will automatically analyze and improve them. With the help of a special technology that is applied in this application, it is possible to process with certain effects not all photos at once, but only some of its details, which allows you to make the photo unusual and unique. MyScript Calculator is the best calculator for smartphones and tablets, which is simply indispensable for schoolchildren and students on mathematics lessons. This is the most useful calculator application of all that is in the world. Since this isn’t just a calculator, in which you need to enter a combination of numbers, give them a multiplication, division, etc. MyScript Calculator has an incredible number recognition technology through artificial intelligence and developed algorithms. Everything is very simple. You write on a certain surface, for example, the cosine of one, it checks what you wrote and determines what is written there, and then gives you the correct result. It’s certainly worth using a calculator on Galaxy Note with S Pen since it has a larger screen diagonal, therefore, a longer math problem will fit. The application also knows how to decide on its own to solve long examples in turn, understanding where what action is. The calculator solves more complex tasks that are beyond the power of simple calculators, which are standard on smartphones and tablets. The calculator can even work with various equations: natural logarithms, constants, sines, cosines, tangents, cotangents and much more. Excellent fast text recognition algorithm on the screen. PaperDraw is a graphic studio that will make it easier to work with graphics and provide a complete set of tools for working with each image and even for drawing. If you see the potential and skills in drawing – you should download the PaperDraw on your Galaxy Note and start drawing professionally, having at your disposal only a tablet, skilled hands, S Pen and a thirst for art. Handwriting, a large number of tools of different sizes, rulers, erasers and much more – all tools that every artist should have. Draw pictures and put them into the network, so that everyone can see and appreciate them. Draw on the pictures, add those elements that you want to see and of course improve the appearance of your photos with the help of effects and special wizard brushes. Enjoy every minute when drawing, improve your skills and learn new techniques and tools, because here you will find a lot of tools for real professionals in the field of painting. 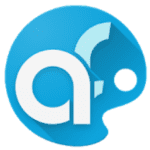 Create your masterpiece and show it to the whole world, get great reviews and even earn money. 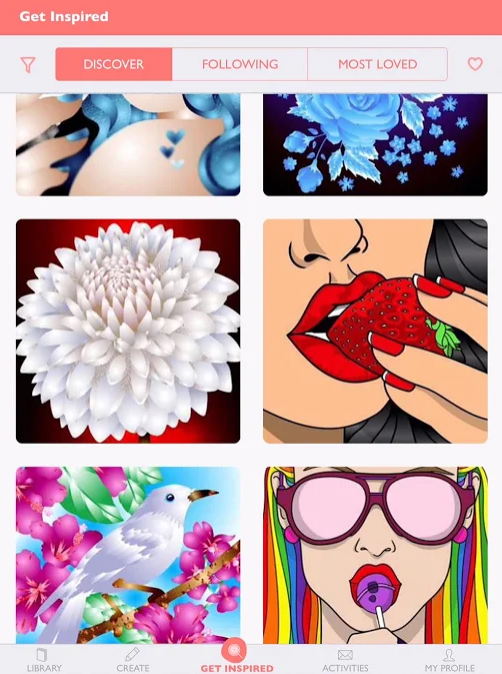 PENUP is a creative social network for digital art. Here you can follow different authors, publish your work, get feedback and just be inspired. It is made specifically for users of the Galaxy Note phablet, which are equipped with the S Pen. In fact, its participants share their creative works, drawn with the help of this stylus. Here you can find a lot of beautiful pictures from users from around the world. In your profile you can tell about yourself and, importantly, add a graphic signature for your work. You create it once (you can use the S-Pen) and it will automatically be added to your work. In addition to your own drawings, add inspirational works from the series Popular Artists and Drawings to your collection. Here you can find a huge number of beautiful works made, first of all, on smartphones and tablets GALAXY Note. Today, although it isn’t a professional application, it is functional enough for both simple work and drawing. In the PENUP application, you can subscribe to people you are interested in and view the feed, like in other social networks. How to Draw – Easy Lessons – you dream to learn how to draw, but you don’t have enough free time? Install this application and master the skills of the artist even on the way home. The app will be helpful for boys and girls, children and adults of any age. It includes more than 70 drawing lessons with sketches for every taste – animals, people, anime characters, cars, flowers, heroes of favorite cartoons and more. How is the application unique? It includes only the correct drawing lessons. This is how real artists are taught in art schools. Each lesson consists of a series of consecutive drawings. The application will show with what main details it’s necessary to start creating a picture, how to draw a contour correctly and draw various details. The Eraser feature will help remove auxiliary contours and bad elements to draw them again. Auxiliary lines and detailed instructions will help you quickly learn how to create your own drawings! Once you have learned some of the lessons, take a pencil and check your progress on paper. With this application, even children will learn to create beautiful and complex pictures. 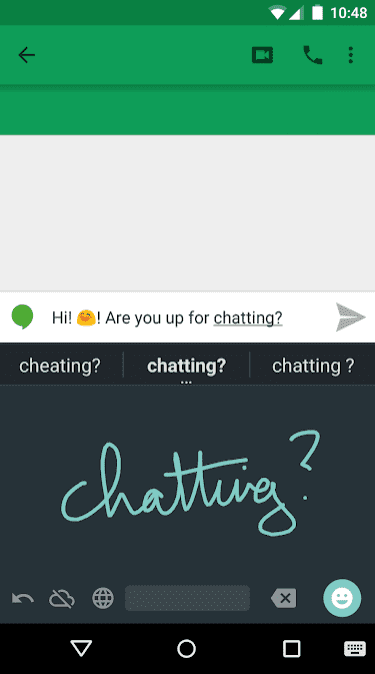 If you are tired of constantly typing the keyboard to make a note, then it’s time to download Squid to your Android and type all this with your finger, S Pen or stylus. At the same time, the program allows you to work with PDF files, easily edit or review other printed documents. Your notes can be easily copied and transferred or collected in a separate group. Your device turns into a school board where you can solve tasks or demonstrate your artistic skills. By connecting a gadget to a screen playback device, this program can be used at large seminars or conferences. The application is built on the use of vector technology, which allows you to create beautiful notes that look great. They can be easily removed from a virtual page or you can use an advanced eraser. To discover a wealth of features, you just need to download Squid. 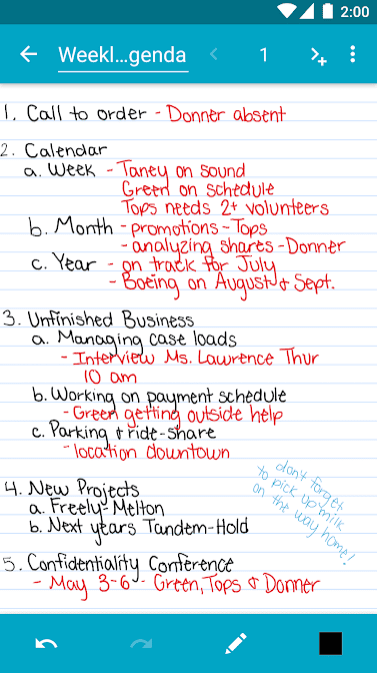 And also don’t forget to change the width of the handwriting text or its primary color. The program has the support of the function of active pens, with the help of which, the notes will look as natural as possible, copying the force of pressing on the pen. Having written something with a pen, you can easily erase it with your finger. Such a powerful tool, equipped with so many functions, turned out to be very easy to use. There are no extra details or an overloaded interface. Download MediBang Paint – pocket art on Android and everyone can get a free application for drawing and creating comics. It’s only necessary to have a small amount of free time and desire. The program is somewhat similar to a well-known tool for personal computers, because it contains, although not all, but many popular functions. In the application, you will find more than a thousand tools, including popular brushes, fonts, backgrounds, effects. Each user of the application can use 850 different tones, textures, backgrounds, visual effects and even clouds for the text (as in the comics). All the work done, so as not to be lost, can be saved in the cloud. It is very convenient, and also allows you to actually access to your paintings from other devices at any time. Even the new user will easily understand all the functionality and quickly learn how to create comics and your own illustrations. Creating your own comics now won’t be any problem, you only need desire, a little imagination and free time in order to recreate the current bright pictures in the head. Colorfy is an effective color therapy available for free. Just download the app and get rid of anxiety in just a couple of minutes. At your disposal, there will be a lot of pictures that have to be painted. Do it as you want! You can use any color and enjoy the process. Time will go quickly and you won’t notice how nothing disturbs you anymore. In any case, you will get a lot of pleasure from this kind of entertainment. Color thousands of images for relaxation. The diversity is amazing. Among the drawings: patterns, animals, mandalas and so on. Use your unique color combinations to make the picture more vivid and memorable. Fill every drawing with joy and life, thanks to this your friends will be able to appreciate the creation. Control of the game is very simple, even if you install it for the first time, you will quickly figure out what’s what. Simply select the desired color by tapping the screen and start coloring the picture. The palette contains many colors, using which you can achieve greater clarity of the picture. The game is suitable for any age, adults, and children. Everyone can enjoy this game without any restrictions. With the S Pen (or any stylus), it’s easy to get coloring on your smartphone thanks to apps like Colorfy.